List of Donors and amounts from Connecticut DAR chapters. 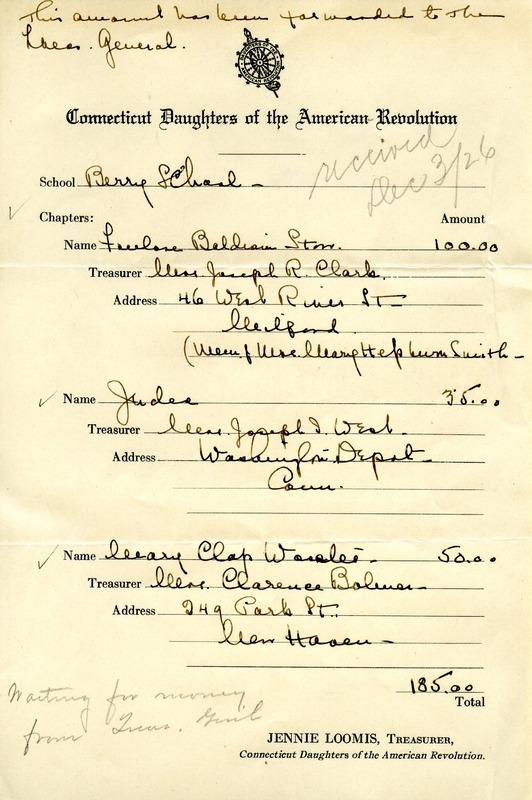 “Donation list from Connecticut Daughters of the American Revolution.” Martha Berry Digital Archive. Eds. Schlitz, Stephanie A., Mandy Tidwell, et al. Mount Berry: Berry College, 2012. accessed April 20, 2019, https://mbda.berry.edu/items/show/2470.